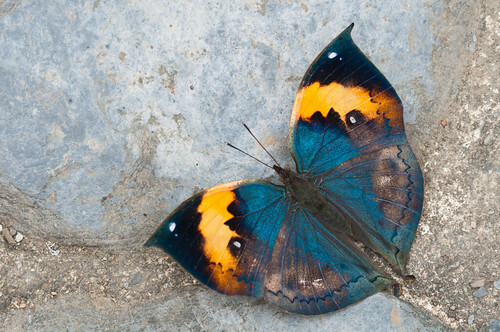 Kallima inachis formosana is one of about 5,000 species of butterflies belonging to the Nymphalidae Family. 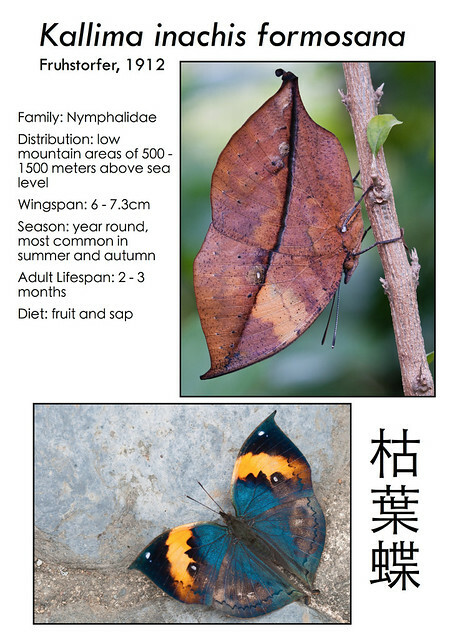 Its common name is the Dead Leaf Butterfly [枯葉蝶] and is found in Taiwan’s low mountain areas of around 500-1500 meters above sea level. Adult lifespan is between two to three months and its diet consists of fruit and sap. 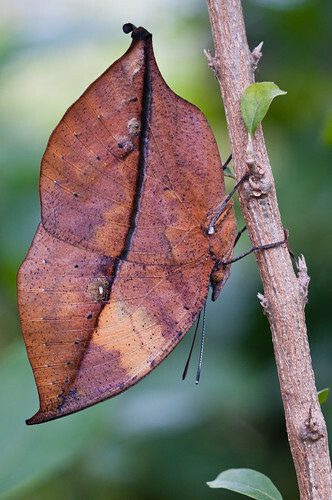 It spectacularly mimics a dry leaf when its wings are closed. Great captures. I have been shooting in Taiwan for awhile, splendid place for photography. Thanks Kurt. You have quite a few nice pictures from Taiwan on your website. Absolutely beutiful! How do you manage to get so close without scaring them away? In my experience, most members of the Nymphalidae Family are not bothered much by someone close by with a camera. Simply wait for them to stop flying and approach slowly. Brave insects! If you don’t miond me asking, what camera + lens do you use? The quality of your photos is stunning. I use a Nikon D90 and an old Micro-NIKKOR 105mm f/4 lens. amazing – that mimicry certainly is spectacular!